This is because the European roulette wheel has just a single zero on it, as opposed to the American version which also includes a double zero. When the game was first created in the late 1700s in France, it actually featured both a single and double zero on the wheel, and this is the main design that remained when it was exported to America. However, as a way to draw in more gamblers that were looking for higher odds in their favour, the French decided to drop the double zero which then became the standard across Europe. Such a small change actually has a very drastic effect on the way roulette is perceived. The house edge actually drops from the American 5.26% down to 2.70% when playing the European version. This can have a significant impact, especially when playing for longer periods of time. Being such a leisurely game that doesn’t force players to continuously make decisions like other games, it’s understandable why many players choose to play European roulette over the American variety. The Single Bet - Payout 35 to 1, betting on a single number. The Split Bet - Payout 17 to 1, betting on two numbers by placing a chip on the line. The Street Bet - Payout 11 to 1, betting on three numbers in a row by placing the chip on the outside line. For example, 16, 17 and 18. The Square Bet - Payout 8 to 1, betting on four numbers by placing the chip on the corners of four connected numbers. The Line Bet - Payout 5 to 1, similar to the street bet but the chip is placed on the line between two edges, totalling 6 numbers such as 7, 8, 9, 10, 11 and 12. The Dozen Bet - Payout 2 to 1, shown as 1st 12, 2nd 12 and 3rd 12, places a bet on a total of 12 numbers similar to column bet. The Odd or Even Bet - Payout 1 to 1, shown as Even or Odd on the roulette table. The High or Low Bet - Payout 1 to 1, shown as 1-18 and 19-36 on the roulette table. The Red or Black Bet - Payout 1 to 1, shown as a red and black square. As you can see, there are a large number of bets available in European roulette. However, unlike American roulette, the odds of hitting these bets are actually quite a bit higher because there’s no double zero to contend with. There are two major rules that could drastically increase your chances of winning; surrender and en prison, both of which are available (only one or the other) in European roulette. Surrender means that should the ball land on the zero, you’re paid back half of your wager which means you’re less likely to lose a substantial amount of money on a bet that hits 0. The en prison rule means that your bet is locked and carries over to the next spin if it does hit a 0. This means you’re essentially getting another free bet and a chance to win. Both of these rules can drastically cut down the house edge. In fact, European roulette games will see a house edge of just 1.35% if there are en prison or surrender rules in play. This is a huge advantage of anyone looking to win at roulette and also one of the main reasons why European roulette is preferred. 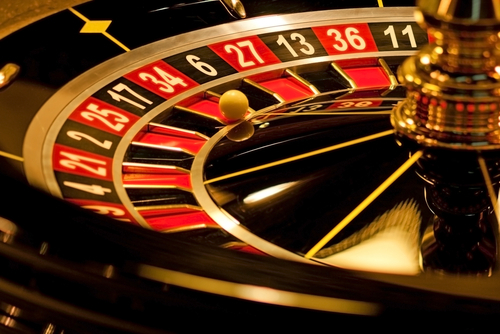 European roulette is often seen as a more enjoyable game because you are less likely to lose. Although adding just one extra number to the board doesn’t seem like a huge deal, it can equate to a lot of extra wins over a long period of time and for a game so leisurely such as roulette, this can be a rather substantial chunk of your winnings. Thanks for the info, I did not know this details.